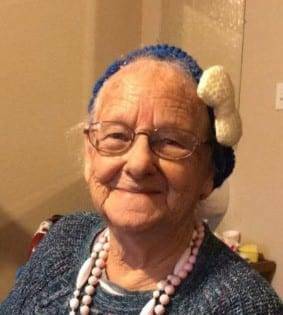 Thelma M. (Koch) Schweitzer, age 93, passed away Sunday evening, March 17, 2019 in The Inn at Fountain Park, Bryan, Ohio. She was born April 22, 1925 in Camden, Michigan to the late Oscar William and Weltha (Jackson) Dull. She married Jack (John) Koch on November 05, 1944 in Stryker, Ohio, and he precedes her in death. She married Ronald Schweitzer on June 13, 1970 in Bryan, Ohio and he precedes her in death. Thelma worked at Strydel in Stryker, Ohio and was a member of the American Legion Auxiliary. She was also a member of the United Brethren Church in Stryker, Ohio. She lived in Stryker, Ohio, and also at Nettle Lake in Montpelier, Ohio. In the winter she would go to San Antonio, Texas to the Alamo KOA Campgrounds RV Park. Thelma’s hobbies included: Golfing, fishing, bowling, dancing and crafts. Thelma was preceded in death by many of her family as follows: Father and Mother, Oscar William and Weltha (Jackson) Dull. Brothers: Donald Dull, Robert Dull, and Harold Dull. Sister, Marybelle (Dull) ford. Husbands, Jack (John) Koch and Ronald Schweitzer. Sons, Thomas (Tom) Koch and William (Bill) Koch. Daughter, Judith (Koch) Whitman. Step-son, Ronald (Jughead) Schweitzer and Step-daughter, Mari Schweitzer. Grandchild, Tamara Grieser. Grandchildren, Amanda Jo and Nicholas Caleb Arnold. Great-grandchild, Jacob Lyn Whitman. Survivors include; Daughters, Julia (Koch) Grieser and Connie (Koch) Hoffman. Step-daughter, Karen (Schweitzer) Arnold. Grandchildren, Great-grandchildren, Great-Great grandchildren, Great-Great-Great grandchildren, Nephews, Great-nephews, Great-Great nephews, Nieces, Great-nieces, and Great-Great nieces. Thelma claimed many people as family as there was never a stranger in her life, she loved everyone! Funeral services will be provided by Grisier Funeral Home, Stryker, Ohio. Viewing will be held Thursday, March 21, 2019 from 4:00 p.m. to 8:00 p.m. in the funeral home. Funeral service will be held 11:00 a.m. Friday, March 22, 2019, with viewing from 10:00 a.m. to 11:00 a.m. in the funeral home. Interment will follow in Shiffler Cemetery, rural Pulaski, Ohio. Funeral services will be officiated by Pastor Nick Woodall. Funeral arrangements entrusted to Grisier Funeral Home, Stryker, Ohio. Be the first to comment on "Thelma Schweitzer (1925-2019)"